Beston egg tray making machine is very popular among customers. Many clients came to visit our factory and placed an order approvingly. Here are customers from Senegal. 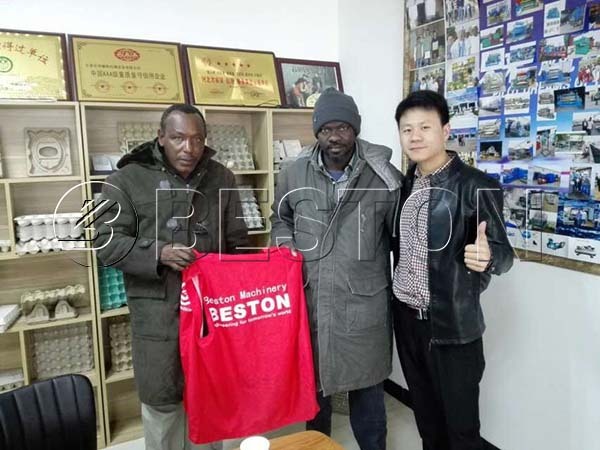 What Can Customers Get from Beston Factory Visit? Check Complete Egg Tray Production Line On Site. In Beston Factory, customers can check our egg tray production line on site. We have a manual egg tray machine in operation, which has been there for 8 years. 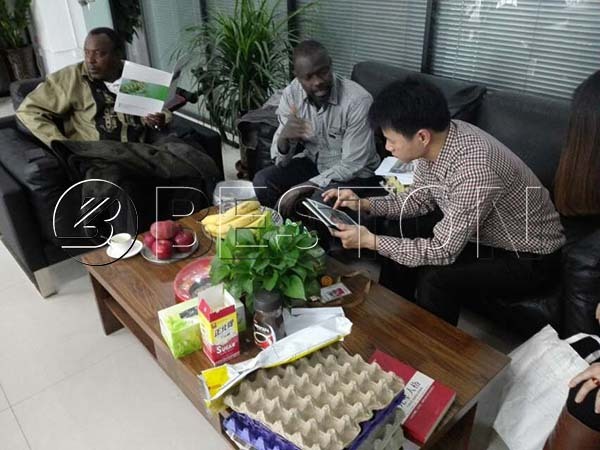 Through the testing production line, customers can clearly know the egg tray manufacturing process. Recently, an automatic egg tray machine has been launched. Welcome to our factory for a visit. Beston can offer each piece of equipment from pulp making system, through molding machine, to drying and packing machines completely or individually. And we have developed various pulp molding equipment for sale, such as apple tray machine, egg carton machine, seedling tray machine, etc. We also have successfully installed a milk carton tray making machine in China. Both size and design can be customized to order. There are a variety of options for customers. In the factory, you can find many machines in production or for sale. So you can check the materials or each detail you care about. Customized Egg Tray Manufacturing Business Plan. Except for the high-quality equipment, we also provide customers with the perfect service. Our sales will offer you a suitable and specific egg tray manufacturing project report according to your real conditions. For instance, there are four different egg tray drying modes to choose from. Our sales will provide you with the most cost-effective one according to your budgets, local fuel, labor force, weather, etc. In the egg tray manufacturing business plan, we will also figure out the investment costs and returns in details. Moreover, as a global egg tray machine supplier, we have rich experience in exporting to save your money and time. Anyway, Beston Machinery will be your best choice for an egg tray machine. If you are interested in our egg tray machines, please feel free to contact us for a visit!